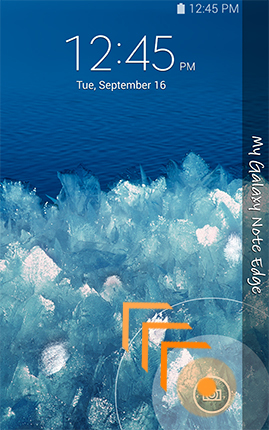 Note Edge: How do I use my camera from the lock screen on my Samsung Galaxy Note Edge? 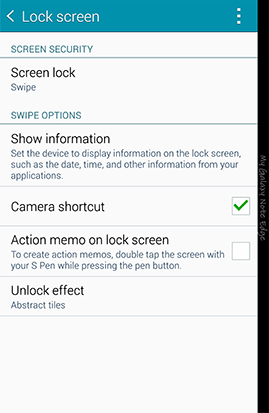 Capture photos at a moment's notice by setting your device to access the Camera application from the lock screen. 3. Touch Lock screen . 4. Mark the Camera shortcut checkbox to turn on camera access from the lock screen. When the feature is on, touch and swipe in any direction to open the Camera application.